Many conventional, lifestyle and herbal remedies are available to help prevent and treat osteoporosis, and each method has its own pros and cons. Generally speaking, herbal remedies for osteoporosis work more slowly than pharmaceuticals. They may be used as the main form of supplementation to prevent osteoporosis and treat mild cases. Severe cases of osteoporosis may require pharmaceuticals but herbs may still be beneficial as they provide a wide array of nutrients and actions that enhance bone strength. Herbs help to prevent post-menopausal osteoporosis and provide your body with the nutrients it needs to maintain the health of your bones and connective tissues. Nutrient-dense herbs help your entire body to function optimally, giving your body the energy needed to grow and repair connective tissues. Antioxidant-rich herbs prevent aging, which contributes to the breakdown of bones and their supporting structures. Experts used to believe that calcium from plant sources, including herbs, was not as readily absorbed as calcium from dairy sources. However, it is now recognized that plant-based calcium is absorbable and usable at an astounding rate of 80 percent. This is vastly higher than the rates of absorption and use of calcium from other sources. Using calcium rich-herbs such as nettle and sesame seeds will save you money and provide your body with the high-quality calcium needed to build strong bones. Let’s explore several herbs that can be used to prevent and treat osteoporosis. Both dandelion greens and dandelion roots offer benefits for your bones. Some health experts believe that one of the causes of osteoporosis is a slight acid/alkaline imbalance of the body. Stress, illness, inactivity, and a poor diet may increase acidy of your body’s tissues, while calcium and other minerals needed for strong bones leach out in acidic environments. Herbs like dandelion have an alkalizing effect on your body. In addition, dandelion is a rich source of vitamins and minerals that your body needs to grow healthy bones. The tops contain iron, magnesium, calcium, vitamins, and minerals; they are particularly high in vitamins A and C.
You can purchase fresh greens at large markets or you can grow your own. If you harvest greens, choose only young, small leaves to limit bitterness. Dried tops and roots may be made into a tea. Dandelion Leaf Infusion – Pour one cup of boiling water over one teaspoon of dried dandelion leaves or one tablespoon of fresh dandelion leaves in a heatproof container. Cover the container and let the tea infuse for twenty minutes. After 20 minutes, strain out the herb and drink the tea. Dandelion tea may cause an increase in urination, so don’t drink it in the evening. Research indicates that people who experience prolonged stress develop adrenal exhaustion. Adrenal exhaustion may interfere with the production of healthy bone cells. One of the most effective herbs used to nourish the adrenal glands is sweet, tasty licorice root, which reduces inflammation. Despite thousands of years of being used as a long-term agent, most experts now recommend that licorice root be used for only short periods of time, as it can cause an elevation in blood pressure and fluid retention. However, a form known as deglycyrrhizinated licorice root is available that does not cause the blood pressure to rise. Licorice root is an excellent herb to combine with less tasty ingredients in tea. But licorice root should not be used by individuals who are taking cardiac medications, anti-hypertensive drugs or diuretics. Nettles are among the most valuable herbs on the planet. They can be carefully gathered and eaten after they are pickled or thoroughly cooked. If you gather your own, be careful – nettles have tiny hairs that contain formic acid which stings. Once the nettles are dried or cooked, the formic acid is deactivated. Nettles are one of the most useful herbs available to prevent and treat osteoporosis. They contain highly usable forms of calcium, magnesium, chromium, vitamins and other minerals that make bones strong. Nettles also decrease joint pain and improve the health of your entire body. Nettles are available as bulk dried herbs, tinctures, capsules, teas and pills. Milky oat straw is also known as milky oat stalks or tops. This very mild tasting herb is best used while fresh. Dried milky oat tops that are a yellow-green color are effective too. Top commercial companies make herbal preparations by using the fresh plant. Check labels to be sure. Oat straw improves your body’s absorption of calcium and other nutrients needed for healthy bones. It is a terrific herb to use in combination with other nutrient-rich herbs, such as nettles. Milky oat straw contains a very high concentration of magnesium, which is needed for bone health and general wellness. It also contains silica and calcium, in addition to a wide array of nutrients used to form strong bones and other connective tissues. Raspberries and raspberry leaves are nutrient dense. The mild-tasting leaves may be used fresh or dried to make an herbal tonic tea. Iron-rich raspberry leaves also contain very high levels of the trace mineral manganese. Manganese is needed to create strong bones and cartilage. Many women develop osteoporosis after menopause when levels of bone-protecting estrogen decrease. Herbs classified as phytoestrogens, including kudzu, red clover, black cohosh, and soy, may be used to prevent post-menopausal bone loss. Phytoestrogens offer many health benefits for your entire body. In the human body, estrogen works in conjunction with the hormone progesterone. Estrogen and progesterone must be carefully balanced to ensure a healthy ratio of hormones and optimal wellness. The herb vitex is used to balance progesterone levels. Vitex is sometimes used in herbal formulas designed to prevent and treat osteoporosis. Multiple scientific studies worldwide have demonstrated that women who come from cultures that consume diets high in phytoestrogens experience less post-menopausal bone loss than their counterparts in other cultures. Including herbs rich in phytoestrogens is a very important component of a program designed to maintain or improve bone density. Rosehips contain 50 times more vitamin C than a similar amount of an orange. They prevent osteoporosis by destroying free radicals, which hasten the aging process. Rosehips also enhance circulation throughout all tissues of the body, including the bones, and healthy circulation supports strong bone formation as well as slowing the breakdown of bone and other connective tissues. You can also purchase rosehip powder, which is inexpensive, and may be added to teas. Alfalfa contains trace elements of minerals and vitamins needed to maintain healthy bones that are not easily obtained in the average diet. This herb supports a healthy acid-base balance within the tissues and improves oxygenation of tissues, preventing age-related damage from occurring. 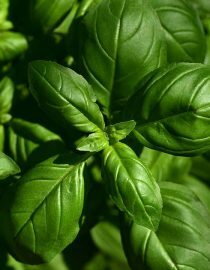 Most of the herbs for osteoporosis discussed in this article are readily available and inexpensive. While they are helpful when used individually, I recommend combining several of them together for maximum benefits. You can easily make teas or add them to smoothies. Your dentist may be the first person to find out that you have osteoporosis, or advanced symptoms of the condition.